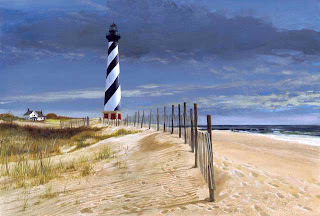 I'm very excited today as I'm packing to head to the Outer Banks in North Carolina. We took a family vacation there last year and I fell in love with it. It is so beautiful there and truly one of the most relaxing vacations. I'm putting together a first aid kit and had to laugh at myself. Where in the past I would have grabbed the neosporin, Tylenol and ibuprofen - my bag looks very different this year. Here's a little summary of what I'm taking. Hydrogen peroxide for immediate cleaning of any beach wounds from shells or ghost crabs. Colloidal Silver for disinfection. I will take both a gel to apply to any wounds and a tincture in case anyone starts to feel a little ill. Tea Tree Oil - also a great wound disinfectant and great for bug bites. Arnica - a great homeopathic that helps ease the pain from any bumps or bruises. Apis Mellifica - another great homeopathic to help with allergic reactions to bug bites, food, etc. Well there you have it! My new and improved first aid kit! I've heard so much about the Outer Banks... Enjoy! I also added to my kit calendula gel for burns, Bach rescue cream for cuts, tea tree oil (cleans the cuts), and a all natural hand sanitizer that I made myself with YL purification oil and water.